Cassandra Mott is a partner with the law firm of Thompson & Knight LLP. She represents lenders, borrowers, issuers, underwriters and trustees in a variety of commercial transactions, including public and private debt offerings. She has structured, negotiated, and documented senior, subordinated, and mezzanine financing facilities of many types, including single, “club” and multi-bank, syndicated, general working capital, investment-grade credit, asset-based, cash flow, first lien and second lien, unitranche, and multijurisdictional and multicurrency facilities. Cassandra also advises clients on intercreditor matters, helping them structure and negotiate transactions with multiple debt tranches and lien priorities. Her practice also includes advising clients on in-court and out-of-court debt restructurings. Cassandra’s practice also includes working with capital providers and private equity funds and their portfolio companies on leveraged buyout financings related to acquisitions and recapitalizations. Her industry experience is vast and includes transactions in numerous businesses, such as oil and gas, chemicals, consumer products, healthcare, technology, retail, transportation, and manufacturing. 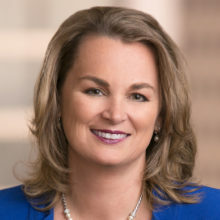 Cassandra serves on the Global Board of the Association for Corporate Growth and is past president of the Houston Chapter of the Association for Corporate Growth. She is a member of the Executive Women’s Partnership, a division of The Greater Houston Partnership. She also serves on the Board of The Woods Project.